At the 2019 Minneapolis SX, Blake Baggett went down hard through a rhythm section in the main even while battling with Ken Roczen and Marvin Musquin for a podium position. 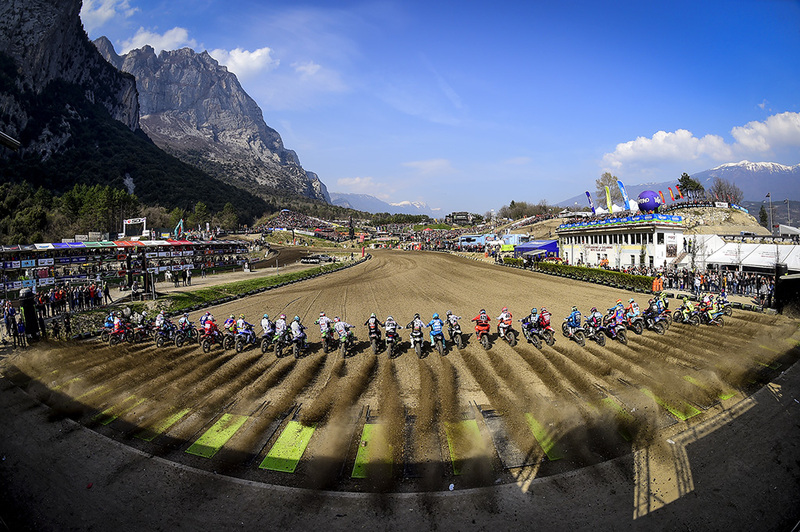 Despite the crash being a dirty one, “after catching his breath, Blake would get up with only minor bruises and ride back to the pits on his own power ending his night,” the team said in a press release. 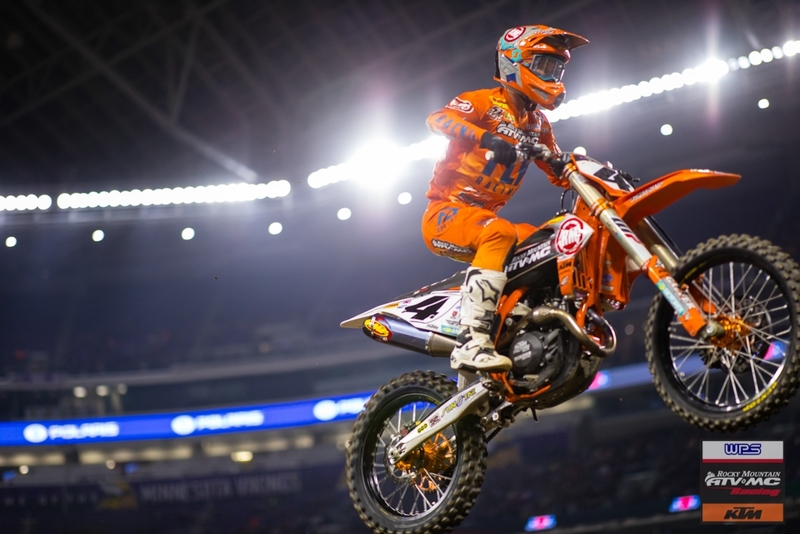 It was a tough blow to the Blake and the Rocky Mountain ATV/MC / KTM team and in effect ended any hope of the #4 bike getting into the mix for the 450SX title. Heading into Minneapolis Blake had one win and was 5th in the points—26 points behind the leader—and leaving Minneapolis he is now 7th in the points—42 points behind the leader.